1942, Law School Students Checking Out Books From Lincoln’s Law Library, image courtesy of HBCU Library Alliance Digital Collection. 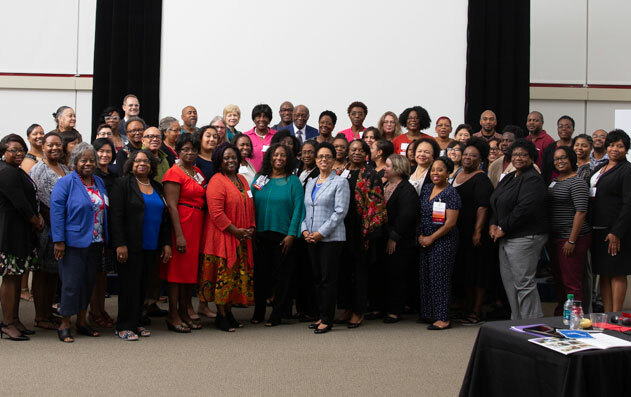 Funded by a grant from the Andrew W. Mellon Foundation, the Leadership Program aims to provide theoretical and practical instruction to encourage the development of leadership skills within the HBCU library community and on their own campuses. 1910, Tuskegee Senior Class in Psychology, image courtesy of HBCU Library Alliance Digital Collection. 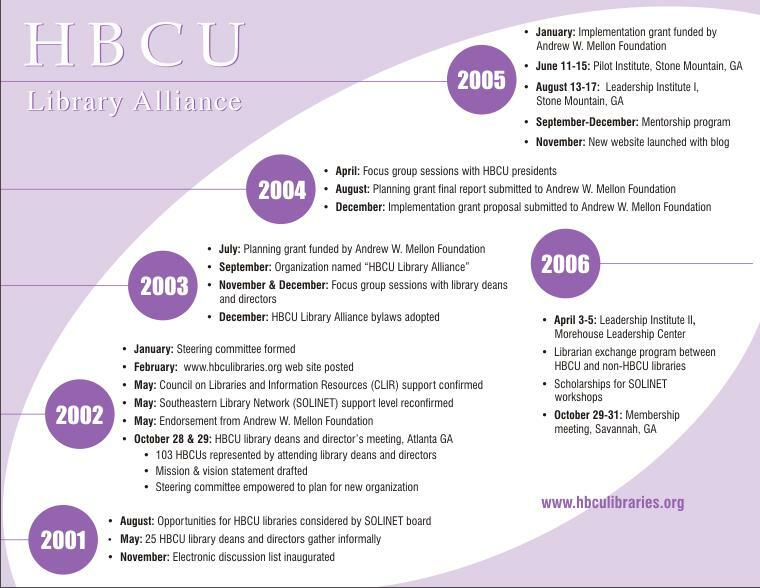 Promoting opportunities for sharing resources and conservation while encouraging investment in preservation capacity-building within HBCUs. Project Description: Develop an ongoing analysis of holdings. Project Description: Produce multimedia historical profile of the university. Project Description: Develop and implement information literacy via distance education. Project Description: Develop leadership competencies for staff. 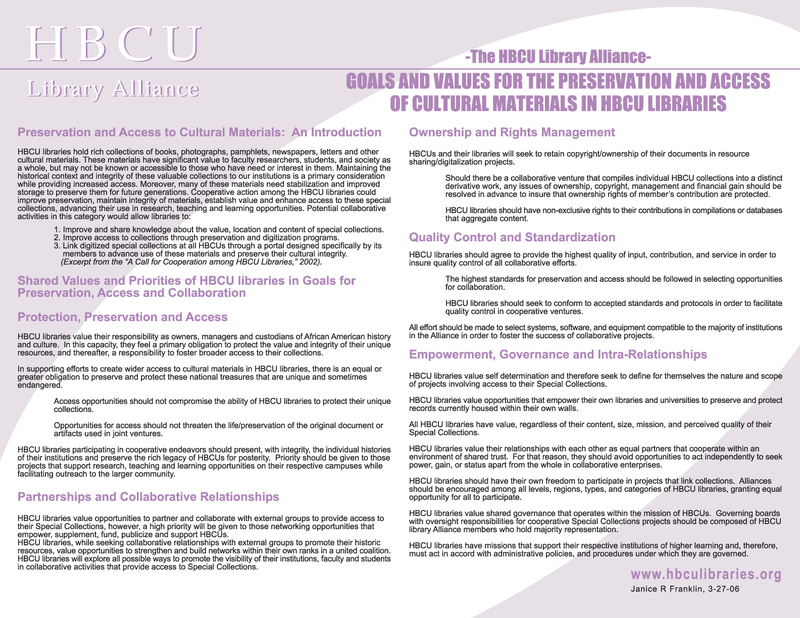 Project Description: Build a Friends of the Library organization. Project Description: Marketing services and a collection that support the curriculum. Project Description: Launch Digital Commons for scholarly publications. Project Description: Create a literacy program via website. Project Description: Write a successful grant proposal. Project Description: Implement electronic library in new campus buildings. Project Description: Create and implement an institutional archive. Project Description: Produce a 4-year strategic plan. Project Description: Acquire funds for capacity building. Project Description: Develop and promote online tutorials. Project Description: Training for faculty and staff. Project Description: Digitization of special collections. Project Description: Plan professional development module for paraprofessionals. Project Description: Identify and implement strategies for consortium development. Project Description: Create a recruitment strategy. Project Description: Encourage greater faculty participation in collection development.